Tiny Totino's Pizza Rolls are at the center of a controversy so big it may wind up with its own "gate." 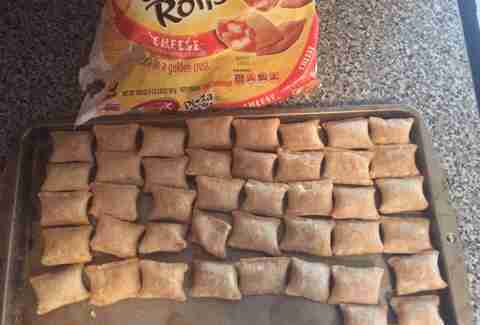 #PizzaRollGate, as it may someday be referred to, has been all over social media, with lovers of tiny pizza pastries posting photos of 40-count bags in which they only found 39 rolls. The whistleblowing was first noted by Daniel Miller, pizza investigator film writer for the Los Angeles Times. He tweeted out the evidence, screengrabs of furious pizza roll consumers meticulously counting their rolls and tweeting their indignity to Totino's. In the face of such scandal, Totino's has been responding to consumers, including Miller, maybe a bit too glibly, given the severity of the situation. Here's a plating of thoughts from the injured parties, who have been shorted one molten cheese pocket. @totinos I got 39 one time. Still waiting on getting that missing role replaced. @totinos hi, I received a bag of only 39 pizza rolls rather than the marketed 40, and I am furious. To its credit, the Totino's Twitter account appears to respond to every complaint in an effort make the world right again, mailing a single pizza roll to every unsatisfied customer (that' almost certainly not how it's being handled). To find out the extent of the injustice, Thrillist bought three bags of Totino's pizza rolls to document how widespread #PizzaRollGate actually is. Fully prepared for the disappointment and outrage that should accompany being shorted a single shrunken calzone, the first bag contained 42 rolls. Totino's had won this round, but there were two bags to go. 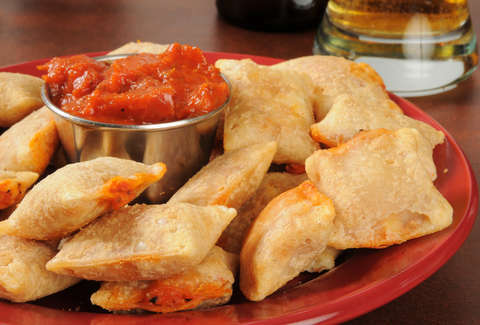 One error doesn't get anyone out of The Great Pizza Roll Debacle. However, the second bag also had 42 pizza rolls. But that only served to make the conspiracy more clear. Surely, cheese pizza rolls had less weight inside and that meant more robustly stuffed pizza rolls — like sausage or triple meat — would always be short a pizza roll. Onward, to a 40-count bag of pepperoni pizza rolls. 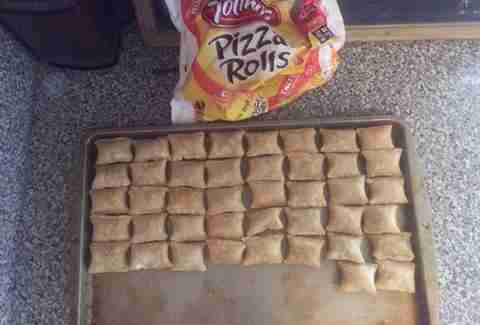 The pepperoni pizza rolls had 41 in the 40-count bag. 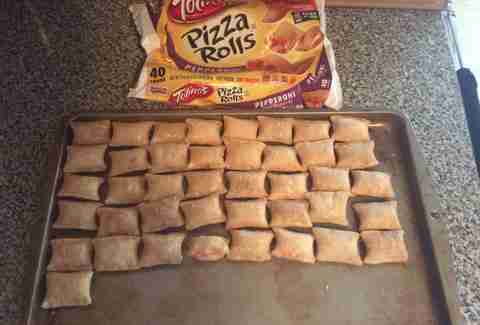 The explanation Totino's gives is that the pizza rolls are measured by weight and not actual pizza roll count. That means the amount of baked cheesy goodness in the oven should always be the same, even if the beautiful symmetry of five rows of eight rolls is maliciously taken from you. Sometimes you get 39. Sometimes you get to house two rolls before presenting the remaining 40 to your guests. The world is delicious, delicious chaos. Dustin Nelson is a News Writer with Thrillist. He is so full of pizza rolls. Follow him @dlukenelson.